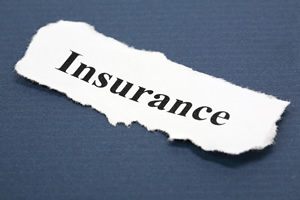 How Can You Get the Best Professional Indemnity Insurance for You? Professional indemnity insurance is a type of insurance policy that provides cover for businesses that offer advice and/or professional services – such as solicitors, accountants, management consultants and estate agents. For many of these businesses the securing of professional indemnity insurance – or professional liability insurance which protects against damage to client or their property – is a legal requirement. If you have to get this kind of insurance policy in order to operate legally, you will still want to do everything possible to make sure that you get a policy that suits you – so how do you go about managing that? The first thing to remember is that professional Indemnity and liability insurance is offered by a lot of different reputable – and not so reputable – insurance companies so you do not want to just take the first policy you come across. It is well worth shopping around to find out what is on offer before committing yourself, as you can use a comparison website to narrow down the options before you start to actually contact the companies. Stick to companies with a good reputation and solid finances though such as Endsleigh-Business.co.uk, as you need to know that they will be able to make good on any claim – generally if they are offering great coverage at a much lower price than everyone else this is a sign that it is too good to be true. The other thing you need to look into, in order to get the professional indemnity and liability insurance that suits your needs, is exactly what areas of risk your line of work presents for you. You need to look at the kind of advice or service you offer and the kinds of clients you attract, as this will help you work out the possible negligence claims that could arise. Knowing where you are at risk will enable you and your chosen insurance provider to sort out a policy that meets your needs.